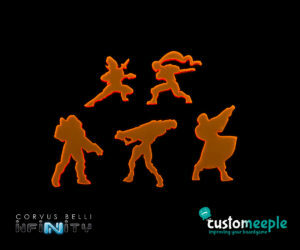 Our official Holoechoes silhouettes for Infinity the game are intended to be used with the Infinity miniatures with the power of Holoprojection. 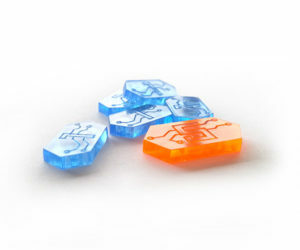 This pieces are designed in collaboration with Corvus Belli to be fully compatible with Infinity the game . 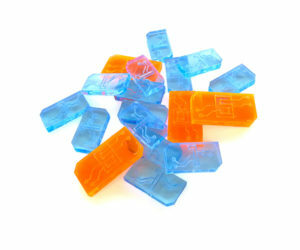 All the pieces are made in fluorescent methacrylate and you can use them to represent the fake resonances of the miniatures. Who’s the real one? This silhouettes are modelled to represent the Husam Yasbir miniatures from the Haqquislam Faction and they are of the same height as them. 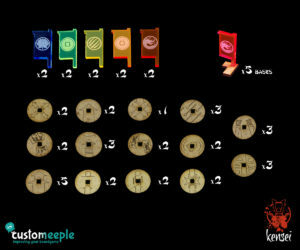 Also they have numbers engraved so you can easily know to which target is the enemy shooting. 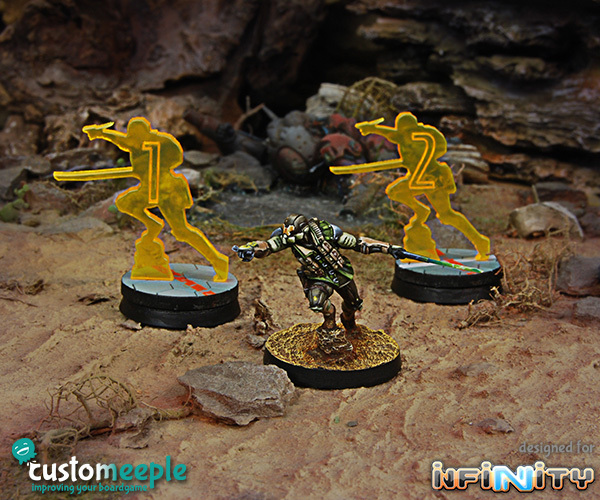 This product comes with 25 mm Infinity bases (unmounted) to use with the silhouettes. Quantity: 1-3 silhouettes and infinity bases. 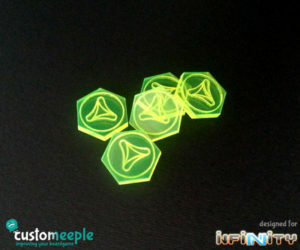 Use: Use as Holoechoes, (decoys) for your Infinity miniatures.